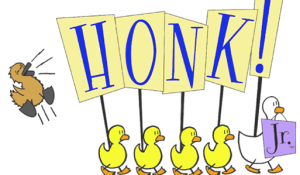 Home → Black Box Series: Honk!, Jr.
Our Spring 2019 Black Box Series (ages 6-12/7-13) is scenes from Honk!, Jr. Based on Hans Christian Andersen’s The Ugly Duckling, Honk! 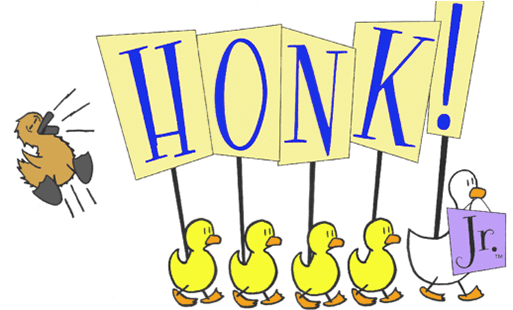 tells the story of an odd looking baby duck, Ugly, and his quest to find his mother. Soon after Ugly is born, he is seduced away by a wily Cat who wants to eat Ugly for dinner.